If elected, Brad will prioritize ensuring the CBA remains the voice of the legal profession, by focusing on the needs of young lawyers and law students and furthering the work of the CBA on the issue of Access to Justice, as well as diversity and inclusion. Brad’s election would signal a historical first for the CBA, as he would become the first Indigenous President in the organization’s history. The entire Maurice Law team wishes Brad success in his upcoming election and extends its complete confidence in his vision and commitment to the broader legal community. This year’s campaign period runs from January 3–24, with the voting taking place between January 9–February 7, 2019. Brad Regehr is a member of the Peter Ballantyne Cree Nation in Saskatchewan and a distinguished member of the legal community. His portfolio is expansive – as a legal advocate he has over twenty years of practice and has worked on a wide variety of legal matters, including aboriginal law, corporate/commercial law, civil litigation and administrative law. Of note, Brad was a part of the legal team that successfully defended a challenge to a First Nation’s tax laws under the First Nation Fiscal Management Act, the first litigation involving that statute. 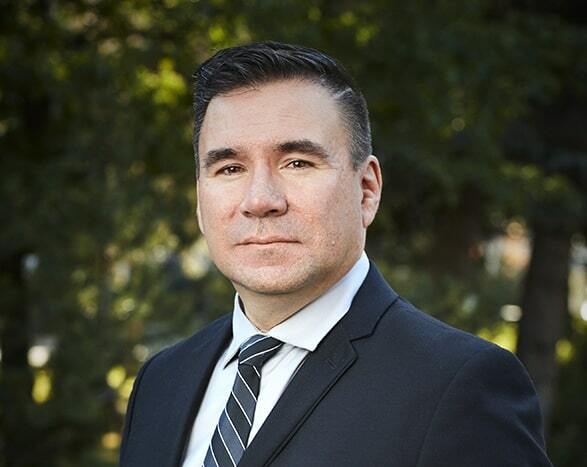 In addition, Brad served as the President of Manitoba Bar Association from 2015 to 2017, as the first Indigenous lawyer to hold that office and the first lawyer since 1946 to hold that office for two years. Most recently, he was appointed to the CBA’s National Board of Directors for a two-year term commencing on September 1, 2018. Outside the office, Brad has been involved in seven productions of The Lawyers Play — a joint fundraising production between the Manitoba Bar Association and the Royal Manitoba Theatre Centre. Brad has also been a coach for his son’s sports teams, most recently in baseball. A complete biography Brad Regehr can be found here.